A Disappointing Performance. A "scaled" down . Four months before the first European tour was started in June 2007, I with my i-Rock! colleagues conducted a workshop or seminar "An Appreciation for Genesis" featuring music appreciation and performance by ITB (Inspiring Tribute Band) at Mario's Place, Jakarta, February 2007. Some audience who attended the seminar also said that they had purchased the tickets for GENESIS upcoming European Tour. They were very excited. It was one of the topics discussed in the seminar: "Would Genesis be able to play as good as previous live shows?". Some of the audience doubted but some were very optimistic about it. When the show was conducted, a friend who joined in local rock music community made a post in the mailing list that he was disappointed watching Genesis live at Helsinki. He made a very detailed comment pertinent to the show. I was lucky that finally I was not going to watch the show. The DVD will be available February 2008, while the CD version was released in November of 2007. The CD contains the entire set of the Turn It On Again reunion tour, although each song was recorded at a different location. The album is like a live compilation from various venues. Turn It On Again Tour setlist was trying to balance between old and new, trying to satisfy both the die hard fans and the fans of the more commercial period. There are three meddleys. The first is the opening track which consists of instrumental version from Duke's album: Behind The Lines and Duke's End. 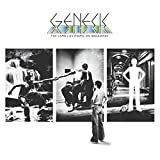 The second medley is legendary 18-minute history of Genesis which contains full versions of In The Cage and Afterglow with Tony Banks' solos from Cinema Show, Riding The Scree and Duke's Travels in between. The third medley is basically the ending of The Old Medley of the 1992 tour, with the solo of Firth Of Fifth continued to I Know What I Like. Unfortunately, the whole music has been scaled down in terms of register notes / signatures so that when the vocal of Phil enters the music it sounds very disappointing and sounds like no energy at all. Not only that, when he sings Turn It On Again he enters too quickly before it should be. It sounds really bad and I am not interested to continue the music without energy like this. Overall, it's a live set for longing die hard fans only, not the beginners. The good part about this live set is the sonic quality is excellent and te duo drum solo by Collins and Thompson is really cool. In a world where grand pop, rock or metal stars' tours and concerts (full of a banal but foreseeable feedback and excitement) are counter-balanced by old rock troops which play it big to stiff up a lip and other artists who keep playing for close fans - not to mention artists that make out of their concerts their desired mainstream, progressive, avant-garde, underground (etc.) expression (with the reception varying in the same way) - Genesis tried, of course, nothing but an original, impulsive, personal ('up-close') and open act, once the rumble and the rumors stopped and the old-standing trio announced they're touring a comeback and that 2007 will be their year for a change. The consistent Live Over Europe stands as a short snapshot out of what was, almost certainly, a comeback adventure of immense size - without necessarily a complex essence as well. For a fact, if pop fans have absolutely no problem welcoming Genesis's return on stage (and especially the way in which to return) - the huge crowds at all these concerts were, after all, happy people, no? 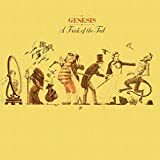 - prog rock fans (the classic ones for sure) are natural born skeptics since Genesis was bared down to three artists (all three not truly brightest in the genre) and the 80s were a golden decade of pure pop. Where stands Live Over Europe (and the huge comeback tour itself) in regards to the (more than enough times) extreme-sided opinions over Genesis's new rise and new music logic (a surprise and something worth the shot for one side, respectively a ridiculous, over-rated and pointless thing to dream of, attend as a spectacle or go for, on the other side)? Quite nowhere, in frankly my opinion, even if the way Genesis have planned this event and perfected on their chosen style is nowhere near neutral or ready to satisfy both parties - meaning that the trio clearly chose their pop-rock bounces, while the reasons for including some oldies were rather misty, and, even worse, their concerts came with pesky commercial, financial and managerial demands, regardless of anything. 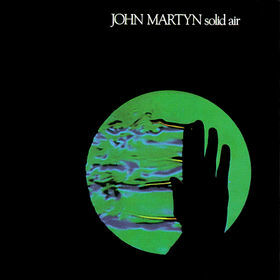 Live Over Europe is, still, comfortably nowhere inside the conflict over pop and prog, because it's just a live album, with qualities and downbreaks, with effect on you (as a listener) and a certain worth of a result. The 2h and 20m total of recordings draws from concerts in Manchester, Amsterdam, Helsinki, Hannover, Dusseldorf, Frankfurt, Prague, Rome, Paris, Munich & Twichenham. Quite a good tour map, though of course the full concerts rarely suffered changes or different measures as music. A clever mix to the album's recording is how the pieces don't have sharp cuts in the flow, even if they come from different concerts. Besides the central icon that is the trio (sure, Phil Collins has a comeback himself, but without him the reunion wouldn't have made sense at all, "calling" Ray Wilson back in 1997 having meant disaster), Chester Thompson and Daryl Stuermer are also back playing percussion and bass, so moments like the drums duo are in this way a buzzing and usual entry. The concerts certainly must have had their explosive nature or their show-glow, but a bit less is heard through the CD music (a DVD is, therefore, in order). About the Genesis pieces, precisely those pop music ones, the feeling between hearing the original, hearing other live albums and this particular one isn't very different, except when the new sound and interpretation is concretely either somewhat fresh or somehow weaker than before - or - when the artists themselves wanna spice up the show and the pieces: Collins sings good, the only breaks happening when he's using on a more romantic, mellow or bored tone. Rutherford and Banks don't do the best performance of their lives, which is why their weakest moments are the false improvisations one. As pop artists, they actually don't know, nor want, to truly improvise, so the songs weaken to some strange sounds, extra frustrating melodies or bad quickly-tuned effects. About the Genesis music, the main interest would understandably be over the prog/oldie small share - and since some people said Genesis performed well on rehashing 70s music, the interest for the album can rise even more to someone who's ready to check it out. To a certain point, the prog part is the biggest disappointment over Live Over Europe: playing Ripples,Firth Of Filth or Carpet Crawlers is nothing special whatsoever, moreover okay, cool, expressive and into the spirit; nothing more. I Know What I Like or Los Endos, usually annoyingly poppy in the prog original albums, aren't even shaky anymore; they're nice as well. One objection to this entire idea however: In The Cage is miserable! This being said, Live Over Europe's cream of the crop is, in the end, the pop recital, full of the dynamics, beats and high pop that the 80s' dream offered. Progger or not, if you don't like to hear Pop Genesis is one thing, if you can't stand Pop Genesis is another thing, but if you can't recognize that Genesis played best Pop in this concert/live album (and throughout the 2007 tour), it's already pointless. 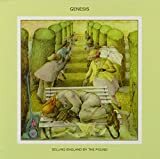 Finishing with the recommendation, I can only do a sterile one, since I don't find it interesting thinking about what's worthier in Genesis's music (even if the answer is obvious: prog) when listening to Live In Europe. The music of this concert is good, the package and the recording has the same nice qualities, it's a light adventure ... and so. True though, money back not guaranteed. OK so we didn't get the tour we all wanted. The much anticipated Lamb tour was shot down by Peter Gabriel and all we were left was the Three Man band. So it didn't work out. Terrible isn't it? Not for many who never saw Genesis in any form. I was at show with someone who had never seen them it was like trying to see Genesis through their eyes. The thing is this tour wasn't horrible. This was not the We Can't Dance or Invisible Touch tours of the band reigning over their audience of popery. This really was a celebration of 40 years of the band. I wish the visuals that were present during I know What I like would have brought a tear to any fan of the band were present in the recording. It was a complete celebration of who they were to who they are without one member unrepresented. This CD is a complete representation of the concert and really there is about 80 minutes of this CD MOST Genesis fans can enjoy. For all the hype of their demise the fact remains these are great musicians that are masters of harmony and melody even in the basest of their pop songs. Yes, the songs are played in lower key so shoot them for that. This is not essential and there is a tendency to maybe make this for fans only but I won't. The Cage medley and other parts of Duke and Selling England By the pound are present and is it the fault of these three members of the band that the other two were not with them? No it isn't but many fans would crucify them for simply existing in this form. If any of you feel that way then you need to let go of the grudge. 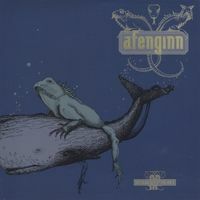 This a beautiful played well produced live CD by an standards and it deserves a three star rating and maybe higher by others that this was the only introduction to the band live. Realizing this may be the last gasp I think it is valuable. To the older fans I say let it go and give at least the progressive songs a listen. Well I must admit being sceptical when this was released. Were the band just in it for the money? Why are the three amigos always so cryptic when getting interviewed? Why so vague about the future? All these questions probably answered most honestly by Phil Collins. Was it going to be another replica of the Wembley Invisible Touch tour released in 2001? You can see the dilemma. Overall the songs chosen for this reunion tour were a surprise in that more older material chosen. But the biggest surprise was the quality of the whole bands playing, excellent delivery. But even more surprising is Phil Collin's vocals. They are accurate to the originals, restrained and wonderfully fragile. There is attention to detail all over his vocals whereas in the past he would on occassion mimic verses to vary the sounds ( and perhaps improvise a bit from the boredom of touring)Listen to the epic In The Cage and Afterglow. These are fine examples where this is apparent. Stuermer and Thompson combine perfectly as usual with Rutherford, Banks and Collins. So thankfully this reunion tour has produced a great live album. Hold on My Heart, The Carpet Crawlers and Duke Intro aka Behind The Lines are more great tracks. The albums still has those irritating Dumbed down medleys of Dukes Travels, Cinema Show etc but the main point being the detail these guys put into this performance, demonstrates what professional they still are. A solid three and a half stars! 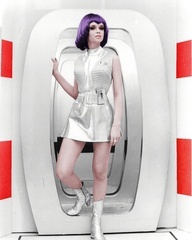 Announced first as a classic line-up reunion, it ended up the Collins-era line-up that reformed. It was also announced that this would be Midget Collins' last tour, this prompting epithets like the Retirement or Pension Fund Tour. Of course it's easy to criticize, but given the absence of new studio album, this felt like The Police's commercial stint, although the latter hasn't yet exploited that tour in terms of live album or DVD. Not really wanting to participate to this kind of exploitation, I voluntarily skipped the tour and only borrowed this from the library and I swear not to copy it. Coming with an impressive booklet showing just how monumental the stageshow was, it only confirms me that I did well to skip that tour (the structure looks like The Stones' Urban Jungle or Steel Wheels tour stage. Whatever.. Right?? BTW, there is an hilarious picture of Collins holding drum sticks and his look halfway between wonder (WTF are these??) and anger (they swore I wouldn't have to touch drums when I signed) and hunger (he's gonna use those to eat Chris Squire'sChinese food), while some amused roadie is looking on. Track list-wise, I suppose it actually resembled their set, Si I can't say I missed much either, although they open up on a duo from their last worthy (I'm in a good mood so far) album, Duke. However the next two tracks are showing just how insulting Phil thought of godd or fitting drumming and while he's out front, I pity poor Chester playing this binary almost trisomic beat. Why did I bother to rent and review this, you ask?? Well I'm a little short on albums I can safely give one star rating after objectively reviewing it and this made a pretty safe bet. Mission accomplished. A totally useless album if you own their other Live albums. You might want to try the GVG to get the images.. Hey there's an idea for another one-star rating. Live Over Europe 2007 is a Genesis live recording from the 2007 reunion tour. It´s a double CD release which means that you get over two hours of music. The song selection is actually pretty good considering that it´s the Banks, Rutherford and Collins incarnation of the band that reunited for this concert tour. The emphasis is of course on the eighties/ early nineties material from Genesis as expected but they have included a couple of the old classics to my great joy. A couple of the better eighties songs are also included so there´s actually not very many of the suckery pop songs on this release. From the old seventies recordings we get In the Cage with excerpts from Cinema Show and Duke´s Travels, Afterglow, Follow You, Follow Me, Firth of Fifth ( Excerpt), I Know What I Like (In Your Wardrobe), Ripples, Los Endos and Carpet Crawlers. I don´t like the idea of excerpts but it´s better than nothing. I could have done without the boring Afterglow and the sucherey sweet Follow You, Follow Me but the rest of the songs are enjoyable. I especially enjoy I Know What I Like (In Your Wardrobe), Ripples and Carpet Crawlers. Los Endos is also great to hear. The drum solo that precedes Los Endos is as boring as any other drum solo I´ve heard, so nothing of interest for me there. 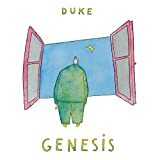 The eighties/ early nineties albums are represented by Duke´s Intro, Turn It On Again, No Son Of Mine, Land of Confusion, Hold on My Heart, Home By the Sea, Mama, Throwing it All Away, Domino, Tonight Tonight Tonight (Excerpt), Invisible Touch and I Can´t Dance. Home By the Sea and Domino hold most interest for me and they are delivered in good versions but I also enjoy both Mama and Tonight Tonight Tonight (Excerpt). Some of my usual favorites sound a bit tame though and songs like Turn It On Again, No Son of Mine and Land of Confusion are not as strong as on earlier live versions. The musicianship is excellent as ever but isn´t Phil Collins vocals a bit weaker than usual? The production is warmer than it was on The Way We Walk live albums but I don´t neccessarely think that it´s a plus. An Aquired taste for sure. 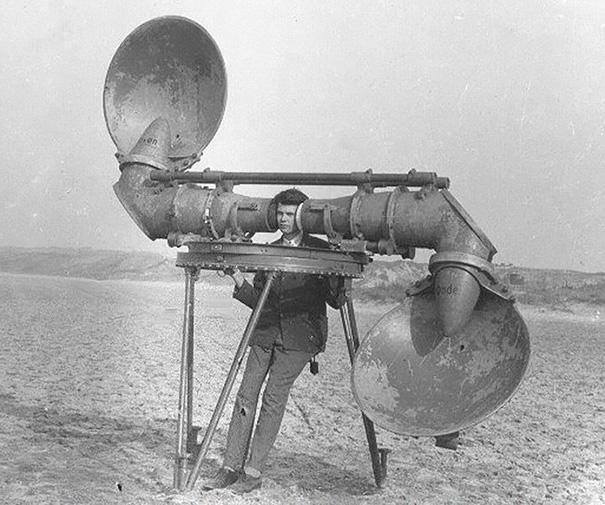 It´s of course very professional and well sounding. I actually enjoyed Live Over Europe 2007 more than I would have imagined. The song selection is really good ( well as good as it gets with this incarnation of the band) and that´s one of the reasons for my enjoyment. Besides the good song selection it´s also enjoyable to hear that the high professional level is still intact after all those years. 3 stars is well deserved. I have not yet invested in the live DVD (When In Rome) filmed and recorded on this same reunion tour of 2007 appropriately entitled 'Turn It On Again: The Tour', but I might actually never do now when this live album is available on Spotify. The track lists of the double CD album and the double DVD are identical to each other and they accurately represent the actual set list of the tour. The major difference between the two releases is that the DVD holds a single concert recorded in Rome while this CD features recordings from several different locations on the European Tour, hence the title Live Over Europe. This fact alone clearly makes the DVD preferable over the CD and had I been required to pay money for this I certainly would have went for the DVD. While it is great to see the guys active once again, I must say that the set list is disappointingly predictable and unimaginative. All of the songs performed on this reunion tour were previously performed by this line-up of the band and most of them already featured on previously available official live albums and videos. Indeed, the set list chosen for this tour is very much like a hybrid of the set lists from the band's two previous tours in support of We Can't Dance in the early 90's and in support of Invisible Touch in the late 80's - both of which are officially available on DVD already (called The Way We Walk and Live At Wembley respectively) and one of them is also available on two CDs (known as 'The Longs' and 'The Shorts' respectively). If there are any surprises here to speak of at all it has to be the inclusion of more Duke-material than we have heard since the early 80's as well as couple of more songs from the 70's that haven't been played for a longer while; however, as I said, nothing that has not been performed by this line-up of the band before. The show opens on a strong note with "Duke's Intro" which contains parts of Behind The Lines and Duke's End. This then continues with such major hits as Turn It On Again, No Son Of Mine and Land Of Confusion. Then we get the In The Cage-medley that was also performed on the tours in the 80's and features on the Three Sides Live album. The present version is, however, slightly different with Duke's Travels following the snippet from Cinema Show. This then (again as on those 80's tours) flows into Afterglow. Though this medley is a welcome addition for fans of older Genesis it surely would have been more interesting to hear something that we haven't heard before. With so many years to rehearse and such a huge back catalogue to chose from they could have given us something genuinely interesting, something this line-up of the band hadn't performed before. The same must be said of the Firth Of Fifth/I Know What I Like (In Your Wardrobe)-section, which is just the end of the "Old medley" as performed on the early 90's tour. It is really great that they perform these old songs again, but they could have given us a "new" "Old medley" with other old songs which would have been so much more interesting. Other songs from the 70's are Carpet Crawlers, Follow You Follow Me, Ripples and Los Endos. The latter two are excellent and are highlights of the show. Other (semi-)progressive songs include the great Home By The Sea/Second Home By The Sea and the good Domino. But these songs too are predictable choises as they have been performed on every tour since they were first written! For those of us who have all the previously released official live albums and concert DVDs there is not much new here really. Those, like myself, who already have the The Way We Walk double DVD as well as the Live At Wembly DVD plus the factory made bootleg Live in London DVD and/or the official Three Sides Live album, already have live versions of all of the songs on Live Over Europe, performed by this exact line up! Since, they weren't touring in support of any new album in 2007 they could at least have picked out something from the extensive back catalogue that they never played live before. I strongly recommend anyone to get hold of The Way We Walk (preferably the excellent DVD, but otherwise the CD album called The Longs) instead of Live Over Europe/When In Rome. You get there most of the same songs, but in addition you get the full Old Medley with snippets of Dance On A Volcano, The Lamb Lies Down On Broadway and The Musical Box in addition to Firth Of Fifth and I Know What I Like (In Your Wardrobe) as you get here too. You also get the excellent Fading Lights, which is the most progressive song from the We Can't Dance album (but sounds even better live than on the studio album) and other "longs" as well. This album came pretty much out of nowhere and grabbed my attention for the better half of 2008! 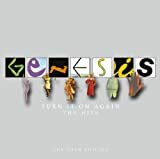 Even though I've been looking to the reunion announcement ever since I began listening to Genesis, the 2007 tour titled Turn It On Again: The Tour sounded too much like a pension money fund for the lads and so I never bothered to learn more about it. It's safe to say that I completely regret this turn of events and that I didn't take that trip to Helsinki when I had the chance. The tour turned out to be quite an extraordinary event and the live DVD When In Rome documented it quite well. 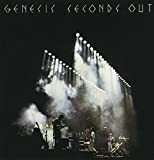 Still it was Live Over Europe 2007 that overshadowed that whole experience for me, so much in fact that I now consider it to be my third favorite Genesis live album after The Lamb Lies Down On Broadway from Archive - Volume 1: 1967-1975 and Seconds Out. I did mention my fondness for the 1980-live release called As Good As Gold, which portrays Genesis right around the release of Duke, but my preference has now started to tip towards this 2007 album instead. So what is it that makes this album so great, you might ask? Well, the set-list pretty much speaks for itself. Not only did the band create a solid set that featured music from nearly every part of their career but we also see a clear nod at their progressive past. Gone are the short crowd pleasers like Misunderstanding and Jesus He Knows Me. What we get instead are classic medleys like the one pretty early on featuring In The Cage/Cinema Show/Duke/Afterglow. Many of the longer pieces from the band's later years have also made their presence during the show where both Home By The Sea and Domino completely overshadow their studio counterparts in terms of timing and passionate arrangements. There has been some criticism regarding Phil's vocal arrangements that aren't sung in the same key as they once were, but this was something that was needed to be pointed out to me before I actually realized the difference. I don't really mind it that much even after the discovery. It was also nice to hear Daryl Stuermer and Chester Thompson in the lineup since they've been an important part of a Genesis live show for all these years and clearly haven't lost their touch over the years. The only really unnecessary moment featured on the entire album is the 7 minute long drum solo that just doesn't make much sense without the visual companion. Other than that, this is an excellent piece of Genesis live history that can and should be acknowledged by both the fans and any new arrivals. I'm still regretting that I've missed out on this tour so you can be sure that I'll be first in line if the band will ever decide to do another performance! Buy the DVD to indulge in a beautifully filmed, well-crafted look inside the world of Genesis. Every track on this incredible live experience is masterfully produced, editing is superb and the sound quality par excellence. Phil Collins gets the audience clapping and singing from the get go and they are having the time of their lives. Even songs that I usually can't stand such as Hold On My Heart, are so well performed that it is inspiring. Tony Banks is absolutely superb and drives every track with his scintillating keyboard work. The drumming is precise and bass and guitar flow evenly throughout. The highlights on CD1 are the excellent Dukes Intro, Turn It On Again, In The Cage Medley: In The Cage, Cinema Show, Dukes Travels, Home By The Sea, Firth Of Fifth, I Know What I Like (In Your Wardrobe). Each are masterpeices in their own right on the studio albums but the live treatment is second to none. It was so blissful to hear new versions of Firth of Fifth, and Cage. CD2 begins with the wonderful Mama and Ripples. But the highlight is the lengthy, awesome Domino. I did not like the pretentious Conversations With 2 Sticks; it was boring on the DVD and a real skipper on the audio CD. Los Endos is as pleasant as ever but they did not perform Dance on A Volcano. Also I wished they had tackled the momentous Suppers Ready. But I guess you can't have everything. The concert ends with the magnificent Carpet Crawlers and the crowd love it and sing every word. What a concert. This is worth at least a 5 star rating on DVD complete with a fantastic documentary. As a purely oral experience it has some merit but no more than 3 stars. it really needs to be seen to be appreciated. Genesis' 2007 reunion tour might have been driven solely by crass commercialism, but I'm still glad it and the ensuing live album happened. When rumors of a reunion including Gabriel and Hackett fell through, leaving only the "pop" lineup of Genesis, I (I'm sure this was the case for many others as well) figured it was just going to be a straight continuation of the Way We Walk tour. I figured the band would continue to distort its full history as presented in its live concerts, playing down the existence of pre-Touch material, and that the show would be a gaudy, artistically bankrupt disaster. I'm glad I was wrong. The setlist does draw heavily from Invisible Touch and We Can't Dance, but this is definitely not a sequel to the Live: The Way We Walk albums. If anything, this is an amalgamation of all of the Collins-era live releases thus far: Seconds Out, Three Sides Live, Live: The Way We Walk and Archive 2. The band makes some of the same mistakes found on those albums, like Collins trying to ham up "I Know What I Like In Your Wardrobe," or Steurmer's awkward attempts to add his own generic flavor to the "Firth of Fifth" solo, but the flaws somehow don't irritate me as much this time around. Furthermore, the album sounds WAY less crass than the Way We Walk albums ever did. It's hard to quite fathom it in the 2000's and beyond, but the Way We Walk albums came out when one of the biggest pop stars in the world was a short, balding ex-drummer (who would occasionally play to rev up the crowd) who really liked cheese in his songs. The band's "artsy" past was clearly something Phil wanted less and less to do with over time, and he (and therefore the band) handled it extremely carelessly by the end (remember the "Old Medley?"). The band's acknowledgement of the majority of its back catalogue was token at best by 1991, and since all of the fans were there solely to hear the newest stuff, nobody really cared. Then came the backlash. Collins left Genesis because he didn't need them anymore, but sometime after he did the Tarzan soundtrack and performed in the Super Bowl halftime show, the world largely stopped caring about Phil Collins. On top of that, prog rock started to work its way back into, if not popularity, then at least marginal acceptance by an ever-increasing number of people. Along these lines, Genesis' overall fanbase inevitably kept shrinking (as those who had come on board in 1986 and 1991 fell off and found other interests), but the number of fans of the Gabriel-era (and also of the '76-'83 Collins era) kept slowly creeping upwards. In short, by 2007, the best way for Genesis to make money as a touring unit was not to treat its past as something to be held at arm's length. Except for the strange omission of anything from Abacab, every album from England to Dance is represented by at least one song. Amazingly enough, for all of the potential landmines in the band's discography, there are only two songs that I'd gladly do without; "Invisible Touch" and "Hold On My Heart," both of which I have always hated and always will hate. I do still find "Afterglow" a little tacky, but after having listened to it several dozen times in my life, I've finally come to a point where I basically like it, and I'm happy to hear it on this album (especially in context). The rest of the setlist, then, is freaking great (by the standards of what I could expect from the band at this point, anyway). The band draws heavily from Duke in the early portion of the show; the opening track is the beginning of "Behind the Lines" coupled with "Duke's End," the first song with vocals is "Turn It On Again," and a chunk of "Duke's Travels" pops up later during the "In The Cage"/"Cinema Show" medley (yes! They brought it back!) that segues into "Afterglow." The band also brings out Trick of the Tail material in the second disc, and both steal the show. "Ripples" isn't quite as good as the Archive 2 version, mainly because Collins' vocals are much thinner and more worn out than in 1980, but it's close, as Steurmer once again makes the guitar parts as beautiful as they always should have been in the original. Then, a few tracks later, after a surprisingly listenable drum duet, the band breaks into "Los Endos," which once again sounds even better live than it did in the studio (it's always been one of my favorites on Seconds Out). I didn't bother to go see the tour when it came through Chicago, but I wish I had if only to hear the moment when Rutherford brings out the "Dance on a Volcano" guitar line and Banks rises up with his synths. The Gabriel-era material is represented by "I Know What I Like," the middle portion of "Firth of Fifth," the "In the Cage" medley, and a surprising show closer: The Carpet Crawlers! I actually far prefer this version to the one from Seconds Out, mainly because Phil's lower register feels a lot more natural here than it did there, and because sticking it at the end gives the show a "reverent" vibe that it wouldn't have had with another track finishing things off. Elsewhere, we have "Follow You Follow Me" (great!) from Three, "Mama" (with weaker vocals than before but some of the best of this show) and "Home by the Sea/Second Home by the Sea" from Genesis, and of course a lot of the obligatory Touch/Dance material. 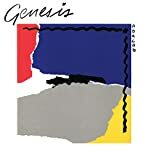 Touch is represented by the title track (prefaced by a shortened "Tonight, Tonight, Tonight," just as it was on Way We Walk), "Land of Confusion," "Throwing it All Away" (which still has a tacky crowd-working vocal introduction), and a rousing version of "Domino." I've never been able to figure out how Phil felt about singing a song like "Domino," but my gut tells me it was part of a tradeoff with Tony to get "Hold On My Heart" into the setlist. No matter, Phil gives it just as good of a whirl as he did in tours past. And finally, aside from the horrid "Hold On My Heart," Dance is represented by "No Son of Mine" (extremely moving here) and "I Can't Dance," a song I like but which should have been left in the can. Nowhere else on the album are the ravages of time on Phil's vocals better shown then when he yelps the "*I*" in "I Can't Dance," when before that was one of the last remnants of him bothering to put any kind of rasp in his voice. I guess it was obligatory, but meh; couldn't he have done "That's All" instead? Or how about "Abacab?" All reservations aside (aside from what I mentioned already, Tony's keys sound REALLY cheezy in some places; if I can call Rick Wakeman on having excessively cheezy synth tones in his old age, why can't I call Tony on it? ), this album is a lot of fun if you like Collins-era Genesis, which I basically do. Don't spend full price on it, but don't avoid it forever, either. In late 2006 GENESIS announced their reunion tour as a trio (with Tony Banks on keyboards, Phil Collins on lead vocals and drums, and Mike Rutherford on bass and guitar) for 2007. It really was a short tour done in some European countries (in June-July 2007) and in the United States and Canada (in September-October 2007), with the usual help from Chester Thompson (on drums and percussion) and Daryl Stuermer (on guitar and bass), and with both musicians playing with the band as auxiliary members on tour since 1977 and 1978, respectively (with the exception of the 1998 tour). This 2007 tour happened after a lot of speculations for some years for a reunion tour of the 'classic' line-up of the band (with Peter Gabriel on lead vocals and Steve Hackett on lead guitar), but this tour never came to reality, mainly because Peter Gabriel could not find the right time to do it. So, without Gabriel, Hackett also did not agree to tour with the band. So, their 2007 tour was done by the remaining trio which became the official line- up of the band since Hackett left the band in late 1977. And this 2007 tour had this trio line-up playing together again on tour, because Collins also left the band in 1996, and the band replaced him with lead singer Ray Wilson for an album ('Calling All Stations', 1997) and a tour in 1998, without much success. The Banks-Collins- Rutherford trio only previously did a brief live reunion in September 2000 to play some songs (with Stuermer) during an awards ceremony for their manager Tony Smith. Gabriel also attended the ceremony but did not sing with the band then. In this 2007 reunion tour the band mostly played their most known songs from their trio years, plus a few songs from their albums with Gabriel and Hackett. It was more like a 'Greatest Hits Live' tour, with a lot of songs which were taken from their most Pop Rock albums ('Genesis', 'Invisible Touch', We Can`t Dance', with all these albums still having some Prog Rock arrangements in some songs ). I like all musical eras of the band, so I don`t have many objections about the set list. But most songs have appeared on previous official live albums of the band (on 'Seconds Out', 'Three Sides Live', on the 'The Way We Walk In Concert' Vols. 1 and 2, and even in their 'Archives 1975-92' Box Set). The main difference between the previous live versions and the ones which were included in this 'Live Over Europe 2007' live album is that most songs were played in lower keys to adapt them to the natural changes in Phil Collins`s vocals due to the passing of time. But even with the limitations in Collins` s vocals in 2007, the band still sounded very well, maybe playing most songs in a more 'mature' way. Collins also had some hearing problems in the years before this reunion tour happened, so he also played the drums in a more 'quiet' way than in previous tours to avoid damage to his hearing, and the band (as Stuermer said in one interview) even had to do some adjustments in the placing of the amplifiers on stage to let Collins sing and play more comfortably without damaging his hearing. Anyway, as this album and the companion DVD of the same tour ('When in Rome') show, the band played very well, but differently, their songs. But in comparison to the 'When in Rome' DVD (which was recorded in Rome in the last date of their European tour), the songs which were selected for this 'Live Over Europe 2007' album were taken from different concerts recorded during June and July 2007 and were edited them together in sequence to give the impression to the listener that they were played in the same concert. This gave more variety to the listener, and one can think that the band was very consistent in playing all the songs very well in different concerts. I can think that maybe they did not re-record some parts in the recording studio. In 2011 Collins announced his retirement from music due to some health problems which did not let him play the drums properly. So, maybe this live album could be the last album from GENESIS. But if Collins could play the drums again maybe they could do a reunion tour again in the future (with or without Gabriel and Hackett) and even a new studio album. But, maybe this is very unlikely. One never knows, really. Post a review of GENESIS "Live Over Europe 2007"